SCOTTSBURG, Ind.—Now in "Year 3" of the grant, Scott County is one of 731 U.S. communities who has the Drug-Free Communities (DFC) Support Program funding from National Drug Control Policy (ONDCP). The DFC grant provides funding to involve and engage the local community through the local coalition (CEASe) in preventing substance use among youth. The DFC Program recently implemented a change in its leadership structure. As of October 1, 2018, Jamie Raichel has transitioned out of the full-time DFC Coordinator role into the part-time position of DFC Reporting & Compliance Manager. Lori Croasdell has transitioned out of a part-time DFC role, into the full-time position of DFC Coordinator. Melinda Lowry will take on part-time responsibilities as the DFC Youth Coordinator. Croasdell, also the CEASe Coordinator, believes her role as the DFC Coordinator, will be to continue the processes begun by Raichel (former DFC Coordinator) as she facilitates and strengthens community collaborations in reducing youth substance use/misuse. Croasdell is inspired to build upon the framework started by Raichel as she guides CEASe in moving its 12-month plan toward action and implementation of its creative coalition-driven solutions to bring about a drug-free community. Her vision for Scott County is that every sector of the community works together, building on the foundation of progress currently in place, to create a more comprehensive continuum of community-level change where our citizens have hope to live healthy and whole lives. Melinda Lowry, the new DFC Youth Coordinator, will provide youth and school-based prevention coordination services focused on supporting the implementation of the DFC goals and objectives, as well as expand and strengthen Scott County's EMPOWER Youth Coalition. As the DFC Youth Coordinator, Melinda will expand EMPOWER's leadership training and coalition-building activities, guide youth members through the Strategic Prevention Framework (SPF) implementation process, and educate and keep the members engaged in the SPF process and coalition activities. In her new role as the DFC Reporting & Compliance Manager, Jamie Raichel will support the successful implementation and achievement of the goals and objectives of the DFC by compiling and submitting all required documents, reports, re-applications, and data and evaluation information. She will also provide on-going technical support to promote the goals and objectives of the coalition. 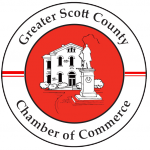 For more information on CEASe and the Scott County Drug Free Communities Support Program, you may contact Lori Croasdell at lcroasdell@me.com or call/text her at (812) 820-0620.